Great way to send money to grandkids. Have been using this about two years and love it. First of all there seems to be no way to physically talk with someone only via email or text. Which can be very annoying when trying to explain in issue. After texting someone repeatedly and them not understanding my issue they abruptly said that they would transfer me to another department and ended our conversation. Didn’t tell me when or how they would be contacting me and when I asked could not get a response. Still stuck with an app that I put money in and features don’t work. I absolutely love cash app. It’s easy, quick, and reliable. Just wish we could use prepaid cards as well as debit cards. My son told me to get this app to make it easier for him to send me his car insurance payment every month. With him being away at college this has been very convenient. I find this to be the easiest way to send cash to my family anywhere. Fast and easy. I thought this app was going to be great and easy to use for my dad to send me money since it’s hard following all the steps using any other system with his Parkinson’s. HOWEVER not only did they cancel the money he tried to send me they still after 6 DAYS have not tried to fix the issue of the app refusing to verify my identity. I have provided them with 4 or 5 different types of identity verification INCLUDING my drivers license and photo of my debit card yet after EVERY TIME I submit another proof I am who I say I am it asks for another. And calling them to resolve the issue? Yea good luck finding an actual phone number. So unless you enjoy having your transactions cancelled during a time of need and urgency just adding more stress, you may just want to use a different service. I don’t understand but I used this app for quite some time and my account was closed and I didn’t get a specific email in exactly why this happend. The user experience of the app is great. Square went for a minimalist approach and it’s much less intimidating than most financial apps. On-boarding is easy, ordering the Cash Card is fun, and adding money to the account is instantaneous. I like having a debit card I can use that isn’t attached to my main bank account. For me, the primary feature of the app is the Boosts. The lineup of discounts is very strong and offer value that usually beats credit cards. The issue here is that the Boosts change frequently and your favorite Boost can disappear next week. You can keep your favorite expired Boost if you never switch your selection, but that limits the total value you can get from the app. There’s also no way to figure out what the current Boosts are, or when they will change, which is a frustrating lack of transparency. Perhaps I’m complaining too much about free stuff, but I think their strategy here is going to leave a lot of users frustrated after a Boost bait-and-switch. There are plenty of negative reviews on the peer-to-peer transactions, so I’ve never used the app for this. I’ve also read that your account can get banned easily if you trade Bitcoin frequently, so I avoid that feature as well. Customer service also leaves a lot to be desired for a financial service, considering they cannot be reached by phone or in person, so it could take days or weeks for issues to get resolved. For now, I’m going to stick to using this card solely for the Boosts and enjoy them while they last. Yea it was good at first. I am beyond tired of waking up and seeing my cancelled subscription service has taken even more money out. There’s no call center for the app so if you send or it’s taken out, the recipient has to be kind enough and even then it takes 10 days. 10 days is the given amount but I’ve never gotten a refund ever so it’s probably just a lie. Also, why is it that I can see the pennies and nickels count down in real time but now it’s 10 days to get it back. I had bills before the money disappeared and while I expect this much from Hulu, I’d hopes cash app would do the same considering there’s pretty much no one to get in contact with. Tapering my use to zero and finding an alternative with a call center. I have been using cash app for over 2 years with no problem, all of a sudden my account was deactivated with no explanation given...if I could give zero stars I would..go to Venmo...more established and more responsive customer support!! This app is terrible. They randomly closed down my account and LIED and said that I performed a “chargeback” which means I somehow reached out to my bank to reverse a payment which was a LIE. They couldn’t provide the proof and when I tried to create a new account they closed that down too. This is truly the worst experience I ever had and I would NEVER recommend this app to ANYONE! Use Zelle or Venmo! First I’ll say, I like the simple cash app functionality that allows me to quickly pay friends from my debit card. That’s great and has always worked well. 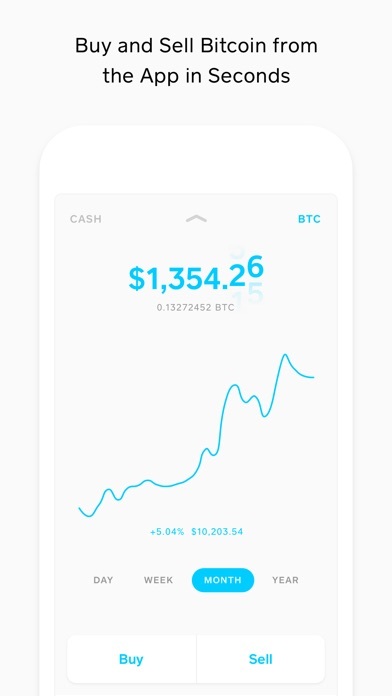 My main interest, and what I was most excited about, was the bitcoin functionality on cash app. Being able to buy bitcoin is an awesome step, but I was disappointed when I found the functionality to send (to friends as a gift, or payment) was not there! Not what I expected from cash app. In fact, the wallet won’t even allow me to withdraw my bitcoin. I applied for kyc months ago. The enable withdrawal button still does not work. I even sent in a support ticket detailing the issue. I’m not mad and I do still like cash app but please please please get this fixed! It would be great for bitcoin, and great for cash app as they would be one of the first major, widespread payment systems to implement full bitcoin payment functionality. It would be awesome to tell friends and family that an app they already have does bitcoin! With it limited and functions buggy I’m still hesitant to share this news as I don’t want people to get turned off early. Fix it, then 5 stars! I tend to my mothers farm often due to her traveling for work. Square Cash has been our way of transferring fund for animal feed and other expenses for 2 years now. I couldn’t be happier. 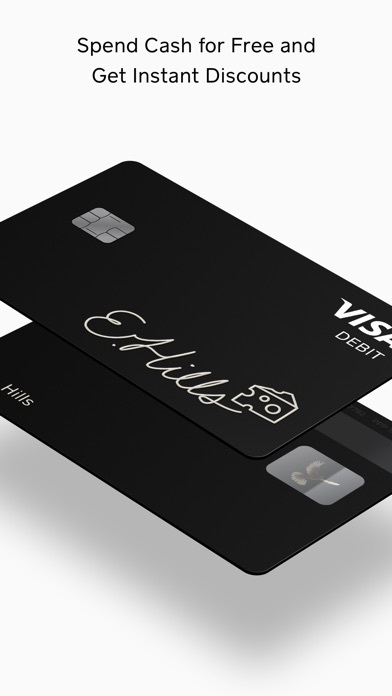 We have ordered our own cash cards through the app and enjoy the boost for our morning coffees along with the ease of just swiping and go, without having to pay the fees of cashing out to our bank accounts. Square Cash has made our lives so much easier. Thank you Square Cash!! This cash app works great while sending cash to money and friends to split. In addition the app comes with a sign up bonus worth $5 free with first send of $5 or worth and referral code MLCHHMV can be used during signup or in the rewards link. I got locked out of an account with ~$200 in it and have had my last 5 emails ignored. They have no CS and no humans apparently as comm stopped as soon as I actually provided all the info they asked of me. Total scam of a company, stick with a payment app you can actually get a response from when they screw up. Cash app allowed someone to get into my account and steal $3k plus dollars from me. When I asked for help with getting my money back from the thief, they replied saying they would help, then after weeks went by they replied saying they cannot help and I should try contacting the thief to ask for a refund for something I never authorized payments for in the first place. Don’t use this app!!! It’s dangerous!!! it tells you that if you invite a friend and they use your code that you and your friend will get $5, it DOES NOT give either of you $5. It’s a very convenient app and easy to use. There is no excuse not to pay people back anymore!!! This app is dope but they took off Taco Bell from the boosts. What is that? The app is okay but I’ve yet to figure out how to spend the money besides using a card and pulling it off. Not to many vendors use this app like PayPal or Apple Pay. CWFMNKK Nice app to pay stuff and send money to friends and family. User interface is very intuitive and modern. Must have app. Use my code above to earn $5. 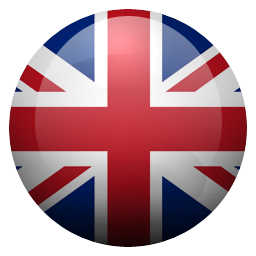 Great app!! i used to like cash up and use it frequently but they closed my account(without even telling me why) and when i tried to make another one they closed that one as well. they didn’t have a good reason to close my account which i’m assuming since they couldn’t tell me why nor fix the problem. I can’t make a card! Use Venmo. This company charges way more to instantly transfer, it’s ridiculous. Best and simplest money transfer app on the market, never unsatisfied. Your grandmother could use it, it’s so easy. I signed up with the app quickly as I needed cash withdrawn from an atm from the local deli. My bank was too far away and I did not have my atm card. All I had was my bank app on my phone with my bank account details. Once I input all the necessary details I thought this would be great, easy, and I could get cash from the local atm just like that. However there are two faults that the app makers oversaw: 1) you cannot add funds directly from your bank account, you need your debit card. If I had my debit card I would go to my bank to get cash not via the cash app. 2) You cannot withdraw cash from the atm unless you have the physical debit cash card which even after applying for takes several business days. So it’s almost like reapplying for a new bank card. Not as fast and immediate as I wanted. So cash app has a glitch. If someone requests money twice it will take both out despite you only entering it once. Majo with customer support said to ask for the money back. That is not always feasible, such as in my situation with a horrible ex. His only other solution was for me to contact my bank and contest the charge. He acknowledged the glitch but still is doing absolutely nothing to correct my issue. Use Zelle instead of this!! My cashapp wasn’t working properly(I couldn’t add my cashapp card and I couldn’t receive/send money). I emailed them about the problem, then they sent an email saying that they “detected activity violations”. They didn’t even explain what that meant. I only send and receive money to my family. I’ve been using this app for some years and now they want to do some crazy stuff. I was having issues with my account and the customer service is basically non-existent. You can’t call anyone, it’s nearly impossible to find someone to even email. I had to get on twitter and send them a DM JUST to get in touch with someone. I finally got an email from someone and it they were so slow just sending me emails, the person I was talking to said they were going to “do some more research” and then email me back with an answer and I never got an email back. I eventually got things figured out but I just deleted the app and won’t be using again. I loved the app before this but if you ever have an issue your basically on your own, not worth the risk of me nearly losing my money again. I would be extremely skeptical and cautious with this app. There was fraud with my checking account in conjunction with cash app. They (thieves) make $1.00 transfers from your checking account into a variety of other accounts. I wasn’t notified by cash app, however my bank placed a fraud alert and froze my account. (Problem has since been resolved). Sad thing is, I only used it (cash app) once. Will never use again. Please double check you banking statements regarding suspicious square transactions. 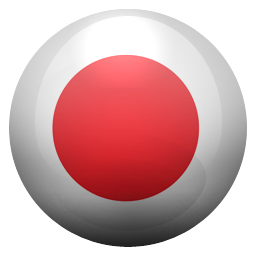 This app is super easy and convenient to use! I also love the Square. Awesome company. I had an issue getting a money order with the cash card and investigated it with the banks involved. Cash app is holding it. They texted me saying they were going to get back to me because they sent my case to dispute and I’ve only constantly checked in and reached back out. I have now a late fee and upcoming consequences for the $500.00+ I’m missing. Reach back out. It’s been 7 days. Update: it’s been 27 days and I have yet to hear back about my reimbursement. I will continue to update in hopes you’ll read the words in this review. I’ve reached out continuously. Update: it’s now been a month to the day and they are currently processing my dispute after harassing them and the other bank involved. I brought a confirmation from the other party stating they did NOT have the funds. 2 days since their last response and mine to them. Update: I’ve been contacted by “Andy” who, over 35 days later, tells me that the transaction shows my card had insufficient funds, hysterically right after the transaction where they took it and “completed” the transaction. He instead sends me instructions on how to add cash to the card as if I had never used the app before. I have responded today, Tuesday 4/16/19. App is easy to use and very intuitive. Unfortunately when a problem occurs support is slow and wasn’t able to solve the issue on the 1st, or 2nd attempt. Also there is a max number of trouble tickets one can submit regardless of status. Like the app, disappointed with support. I’ve used this app for over a year and for the past few months i have NOT BEEN RECEIVING MY PAYOUTS!!! I just had a payment sent to me this past Saturday on april 13, 2009 and I opted for cash out on Tuesday april 16, 2019 and I don’t have it even tho cash app says it did.. however my bank account said it doesn’t!! Pleas fix this problem ASAP and I a would like to see my payment deposited for the work I did! Stop taking my money!!! I’m am currently on my 2nd month of emailing customer service for a purchase that was refunded by the merchant on 1/21/19. The merchant released all funds including 6 other credit cards. I received every refund back the same day but not from cash app. They keep telling me to contact the merchant which I have and I have sent over every communication from the company. This is a huge inconvenience and when I ask to have corporate information they try to redirect me. I am not happy with cash app at all. Once I receive my refund I will not be using these services again because this is very annoying and frustrating. The merchant released all funds to my other credit cards but not to my cash app card. That’s ridiculous!!!!!! I’ve used cash app in the past with no problem, but recently had hundreds of dollars transferred to a card that doesn’t exist. I’ve contacted customer support numerous times, only to be told the money “should” probably reappear in 5-7 days, which it hasn’t. They finally emailed me asking for more information, which i immediately sent back, and now a week later they still haven’t responded back. Had i known it would be this hard to get MY money back, i would never have used it in the first place. I am extremely displeased with the lack of actual help. I would highly suggest using anything other than cash app. I was very excited about this app/company when I first started using it. It was convenient, but after having several issues of the card being denied or charging too much I am very disappointed in it. After having a $25 charge pending on my bank account (not cash app) 4 times (so $100 of my money was being held) for over 5 days I contacted my bank to have it resolved after no response from cash app customer support. The issue was resolved and then about a week later I contact support again because my card/app isn’t working at all. They inform me that my account has been deactivated because I contacted my bank about the multiple charges. I was not even notified of my account being closed. On top of that, there is still money in my account that is being help and I can get no response from customer support about it. This app isn’t worth the hassle. I do not recommend. Wow. THIS APP HAS BEEN HOLDING MY MONEY FOR ALMOST A MONTH NOW. I got a refund from Nordstroms (not a random person...a legitimate company) And they have been “reviewing” for almost a month when the merchant sent the funds 3 weeks ago. (IT STATES WAIT 10 days) I am extremely upset. I even TEXTED the customer support and it was absolutely NO HELP! They told me THEY DONT KNOW WHEN THE REVIEW WILL BE DONE! I emailed NO RESPONSE! I tried to text again and DONT EVEN HAVE THE OPTION!! It says the line is to busy and only gives the option to email... Horrible! DONT DOWNLOAD! Because if you ever change your mind on something you buy even when the merchant sends the funds the app will hold them!!! DO NOT USE! I lost nearly $200 due to a random “refund” by my roommate who clearly hadnt done it, his account went negative while waiting for my account to reimburse his (which shouldnt have been happening in the first place) so we wait till the day it says its going to refund and nothing happens, we both email cashapp and they send automated emails (they have no direct or on site help, they send u in circles with automated emails) deactivating both of our account for the opposite but same reason. Reason was he asked for too many chargebacks and i received too many chargebacks on money i received.. not to mention this is the first time this has ever happened to either of us. Since our accounts are deactivated our money is frozen and cant be cashed out or sent anywhere. Its been months since this happened. We decided to cut our losses and both lost $200. Cashapp is fraudulent and im surprised they havent gotten hit with a lawsuit yet. If a class action ever comes around i’ll be hopping on. Btw they never replied to any emails after the one of them deactivating me with an automated email. Is there a way to delete my account? I don’t wish to used this anymore. I have no need for this app. Great App for convenience and quick money works! I have written several emails to the customer service about money that was taken out of my account without my approval. There has not been no email back just an automated one. I feel like it would be necessary to have a customer service phone number when you have such a big population that uses it or at least be able to email back with support. Someone texted me a link with money and When I clicked the link I never got the money. I have the app for Android and it said you must have IOS 10 (it worked before). So I forwarded the link via email to my iPad, clicked and it doesn’t transfer the money. I asked the sender if they can resend it and they said the money already got sent. I tried contacting cash app via email and phone but I can’t speak to anyone and their generic responses are useless. Can’t speak to anyone regarding a dispute. Downloded app, bought $100 BTC, couldn’t enable BTC withdraws for 2 weeks, sold BTC and deleted app. It says my card is disabled so I click on it ,but when it proceeds to load it shows an error saying try again but it doesn’t show me the QR scanner, NEED HELP TO FIX IT !!! No issues. Love the app! Stars say it all . 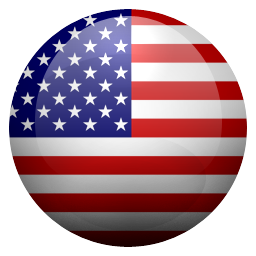 It’s excellent for emergencies a very helpful app. It makes paying my friends back and getting paid back so much easier and i leave my card with my son in case he needs some money while im at work! I was scammed out of $200 and unlike PayPal, CashApp washes their hands. If you need to use one of these apps, make sure they have your back on all transactions. I’m retired and $200 meant a lot to my family. I’m just wondering if there’s a way to sign into your account?? I recently got a new phone and did not back up my apps, so now I downloaded the app and I’m trying to get back to where I left off. But it gives no options for that, it wants me to start everything all over again by making a new account? Why is that is there a way to go around it or not? First of all, if you haven’t used Square cash yet make sure to enter the reward coupon "SPXHVFS" on the sign up screen to get a $5 bonus after you send your first transfer over $5!!!! Enter it after it asks for your number. If you’ve already signed up you can enter the reward coupon on the profile menu if you scroll to the very bottom. The service itself exceeds the competition found in PayPal and Venmo in its ease of use. Sign up is super easy and very convincing for friends, particularly when out to dinner in NYC where asking the waiter to split a bill is like pulling out your teeth. I like the fact that I can send money to anyone even if they haven’t signed up with Square yet. The app is simple to use, swift and clean. There are two options for transferring money to your bank. Either instant deposit which takes a small fee, or the next day. Or you can keep the money in your account, and use the square debit card for any online purchase. You can even request a physical debit card and use that anywhere. The app itself seems secure, especially with the touch ID integration for quick payment. This app has changed how I exchange money with friends or even new acquaintances!! I've even started using it to pay rent directly to my landlord. Welcome to the new modern era. Square cash is now my go to for quick payment transfers to friends and family. Overall you should definitely give it a try, especially with the $5 bonus it gives you!!! I actually came here in search for help with a customer service issue, but I’ve lost some hope after reading other reviews. After a solid 2 good years of excellent service, I’m not sure what to think of this app anymore. I am currently missing at least $1000 that seems to be “lost”. It’s been 6 business days now and no response, very little follow up. I was out of town, across the country with last than $30 after this glitch. The merchant claims a refund was processed. Initially, I was hesitant to believe the merchant, until two other bills paid with cash app had the same issue. Cash app takes the funds, merchant never receives them. Or, merchant releases the funds, cash app never receives them and I don’t have them. The email system for customer service is really inconvenient. When customers are missing funds, having to send an email to an unresponsive system is pretty infuriating. I appreciate the honesty in stating the wait for a response may be up to 3 days, but this is crazy. This is a lot of money that has significant ramifications. and a huge inconvenience. ****** I have since updated this review to 4 stars. Given the previous years of good service, customer service finally reaching out, and the refund being received. However, the Customer Service system can be a bit inconvenient. I have to deduct a star for that. I understand that it’s probably extremely cost effective but it can make us consumers feel alone in rough times. Geniusly simple, perfect for any occasion! Can’t say enough good things. It’s such a simple app even my parents and grandparents can understand how it works (enough). If my kids were any older, I’d almost be afraid they’d use it too much! I use to use Venmo for everything thing from renters to gas change for carpools. I’ve had a bumpy time with them between occasional times when it just wouldn’t connect to my bank account or even respond at all, then the next day it’d be fine. To a weird identity theft issue that happened using my Facebook login for multiple apps including Venmo and thousands of dollars were laundered through my account! All these issues have since been resolved but the security aspect and intermittent bank communication issues were just too much! Now with the Cash app, I’ve referred it to colleagues, friends, family, tenets and I’ve never had issues and had the most simple time using it for a couple years now! It’s not just a simple to use app, but it’s highly convenient to have instant transfers to my bank for a few cents fee. I haven’t seen another way to instantly transfer funds like that unless the other party uses the same bank as me. All around, it doesn’t matter how old/young adept or confused you are with technology and apps, this app is the best I’ve ever used for money transfers; business or pleasure! When I first started using the app, I loved the convenience of it. However, I’ve noticed that nowadays, if I get money sent to me, the amount of time before I can get the money for free - no matter what amount - is days later than it was when I first started using the app. My sister sent me a mere $48 on a Wednesday, and I was given the free option for receiving it on Friday, or in this instance, pay a .78 fee for instant deposit. Even before this particular transaction, there have been other ‘days later’ options for receiving money or I’d have to pay the fee to get the money instantly, and it’s starting to bother me. It just makes no sense. If it was a huge amount, I could understand, but why charge an instant fee for such a small amount? And why not just offer the next business day? I think there should be a required minimum amount of money before charging for instant access, or at least offer the next business day just like other apps do, and not 2 or more days later. Maybe there’s a rhyme or reason as to how you all decide what amount gets charged a fee or not, or how long before money can be deposited, but I can’t figure it out. Before using your app, I had been using Zelle and POP Money, but I thought this was better and switched over. Maybe I made a mistake - I don’t know if it’s worth it anymore. I can only imagine the instant fees getting higher and the wait time getting longer over time. I hate this app. Honestly just download venmo, it’s much easier. To be honest, I only downloaded it for the $5 reward but that didn’t even work out. My friend and I sent money to each other so they would give me the reward. It had no trouble taking the money out of my checking account (since my cashapp balance was zero, having never used it) and it says that I got the reward. But it says my balance is only $5. This doesn’t add up since I’m -5 in my checking and +5 on the app. It should be +10 if it really rewarded me. I’m trying not to be frustrated over $5 but it’s so difficult to transfer to my bank account, so if anyone wants to give me cash I’ll transfer the $5 to your cashapp so I can delete mine and be done with it. Basically took $5 from my account since I can’t actually use the money on my app unless I want to pay someone through it, which I don’t since almost all my friends use venmo (for good reason). In response to the developer commenting on my review, I did do it through the link that my friend sent and followed ALL of the steps. The app even says in my notifications that both my friend and cashapp supposedly paid me, but one or the other is missing from my bank account. I did not miss a step. The fact that they acknowledged my review but didn’t acknowledge or try to figure out what happened on my account also goes to show that this app clearly doesn’t care about its consumers and would rather just put the blame on them. Deleted. Initially I thought cash app was pretty awesome as it allowed me transfer money to who is in college whenever he needed it. Then I all of a sudden I was unable to make or receive any transactions. After searching the net I found a customer service number. When I finally got in touch with a rep, he was difficult to understand and initially seemed rude. When I made comment, he changed his tone and was quite helpful. He had me connect my phone to the computer and we began maneuver through the system. When he had difficulty he got his supervisor who was quite rude and arrogant. He informed me that there was suspicious activity on my account (the month before someone from across the country managed to take money from my account using square, an affiliate of theirs),and I would need to deposit 500 on my cash app and transfer it. I told him I would do no such thing and he then too began raising his voice telling me he was a supervisor. Well I resorted to using expletives, telling him what he could do with that supervisor thing (not proud of that). As far as I’m concerned, not only was it annoying speaking to someone I could barely understand, the fact that they had a condescending, oh well attitude. It’s unfortunate because I enjoyed the convenience of cash app. However the customer service in the event of issues are horrible. I deleted the app and will just go back to my original manner of transferring money!! My cash app was compromised, someone used it at a Chipotle in Denver and I live in Ca. I wasn’t even alerted of the charge. Then the alert I did get with that someone was trying to spend $463 at Apple and it got declined which is when I realized something was dreadfully wrong! I tried to contact customer service on the phone, they referred me back to customer support on the app, so I sent an email which took them over a day to get back to me where they Told me to apply for a new Cash App card THEN and ONLY THEN would they address the security breach issue. Meanwhile I removed my checking account info and froze my card as best as I could from the App. The thieves continued to try and use my account over the next few days, I reported this by email, (the only contact Cash app has with there customers) and they did nothing. Then all of a sudden cash app alerts me that I am seven dollars overdrawn and I need to transfer money to settle the balance. I contacted them again asking if they had any intention of reimbursing any of the money that was stolen from me, I got no response. Imagine my horror this morning when I got an alert that cash app took it upon themselves to re-activate my checking account and remove the money themselves!! I I strongly advise against doing business with Cash App or their parent company Square, which I had left last year because of their poor customer care. April R.
I had been using Cash App for 3 months when someone told me to try the Cash App card because it can be used like a debit card. So I ordered the card and it arrived in the mail, but I never used it. I just so happen to misplace my debut card and didn’t have tune to order a replacement card because I was going out of town. I pulled out the cash app card and was completely satisfied with how everything seemed to work good for the most part. My only issue was I paid two deposits to two different hotels and I never received my money back for those. I contacted cash app support and they weren’t any help. But I still continued to use the card. I had been using the card for a little over a month. All of a sudden the card is declining saying it needs to be activated. I have done everything from deleting the app and reinstalling to just simply disabling the card and trying to enable it again!! Nothing has worked. I contacted customer support the replied back asking me to submit info, but when I did they replied saying it should work but it still doesn’t. I’ve replied back twice letting them know that and still haven’t received a response back. I’m throwing this card away and getting deleting the app. RUN FAR FAR AWAY!! There is no phone number to talk to anyone, and emailing them is useless. PUT YOUR MONEY ELSEWHERE!! DO NOT USE THIS APP!! If there’s a chance you might have issues, you will get NO help at all!! While I have used the app in the past few month without a hitch (and I’m trying to convince others to do the same), I recently ran into a problem sending money to a friend and it’s highlighted some problems with the Cash app. I sent a second payment to this person within a two week period and in order to receive the second payment they are being asked to verify their account through Facebook or their Social Security number. This seems odd as they have used the app to receive cash in the past with no problem and the two payments which I sent are well under the $250 trip point that I’ve read can often trigger a verification request. She’s not comfortable putting this info in and there doesn’t seem to be rhyme or reason for why it happened. And what a drag of it happens again and again? She contacted customer support and got a canned response that doesn’t address the issue. Really wish there was a better way to contact customer support. Why is she being asked for this information at this time? It seems a little suspect. She’s frustrated and ready to quit the app and use something else, and I’m finding it hard to recommend this app to others now. I had been using the cash app for the past year, and for the most part, I had really enjoyed it. However, I recently went to use my card, only to discover that my account had been closed and the money I had had in the app was suddenly no longer available. There is no human being you can contact on the phone for this app. In fact, there is no customer service phone number whatsoever. The only option available is either reading through very unhelpful “user questions” or sending an email that may or may not ever be returned. When I discovered that I could suddenly no longer use my cash app to send money and that my card was declined (even though I had money in the app), I sent an email to customer service. They responded by saying my account had been closed due to either my transaction history, refund history, or a violation of the user agreement. They refused to give me any details as to why this had suddenly happened in that as far as I knew I had not done anything abnormal or in violation of anything, and that the decision was final. I responded back asking for any information because I felt that this must be an error and never got a single response back. And I have not been able to get my money returned either. Up until this point I had thought the cashapp was great but now I am totally disillusioned and hate it. A good app to choose if you want your money stolen. I been using cash app for my business and personal. This past weekend the trust between cash app and I has been broken and I since then terminated all dealing with them. Let me share what happen. On a Friday evening I used my cash app debit card to make a purchase. Just as always the transaction went flawless. Once completed I switched my debit card off so that no other unauthorized transaction can occur. I used this feature religiously without issues. The cash app debit card when turned off will go from black to a ghost white. However this time the debit card disappeared and a few minutes later I was asked by the app to sign up for a new debit card. I contacted cash app via email (the only way they communicate) and I explained what happen. Within minutes I got a reply from an agent asking me key questions. I replayed with the answers they were seeking. Saturday went by, Sunday went by, Monday went by and no word from cash app. Tuesday morning I get an email saying that a push was sent to out to fix an issue and I and other cash app customers that were affected can resume using the debit card. This was a wake up call for me that this app has issues and cannot be trusted because the fixes took three days. I urge you all to use caution because if this happen to my business cash app accounts; the situation would be painful. Please use caution. It's a very minimalistic type of app. It's easy to use and I have had no issues with it. It does ask to link your debit card and bank information, which is understandable. I asked my girlfriend to download the app to send me $50 that she needed to give me. When she sent it, it went to my cash drawer. Easy enough. Then I went to cash out and it told me that it was "instantly deposited" into my bank account. At first, I was like no way. So I went to check my bank and there it was, $50 dollar deposit transaction and ready to use. I would recommend this app to all my college friends because it's really useful for us since none of us ever carry around cash. I do admit that I don't believe I ever received the $5 for referring a friend but I don't really care about the promo money. Update: It's been a year since I've used the app. My girlfriend sent me over $600 last month with the app and I was debating whether to keep it in the app since I have that beautiful etched Cash black card now or not but in the end, I decided to put it in my bank account. Since it was a weekday, it was in my account the very next day. Thanks for the great work! Went to use the cash app card at a QT gas station. Before getting out of my truck I checked my cash account to make sure I had sufficient funds to get gas. My account had $108. Swipe my card and it gets declined for insufficient funds and I try again, same thing. I check the cash app and my funds have dropped to $8. I go to support and FAQS and find that this is common and they say the funds will be returned in 12-14 days (ridiculous amount of time to be out $100) I periodically check my account to see if the money has returned and it never had. Day 15 I email support and ask where the money is. At first they say next time I open my app the money will be refunded. I checked and it had not been refunded I email back and they said that they can do nothing about it and pull a statement saying I had $19 in my account when i went to get gas thus the insufficient funds. They have a statement, and all I have is a -$100 in my app. I have no way to show them that I had $108. I wouldn’t of used the cash app card if I only had $19 for gas. Customer service is kind but very slow and very quick to say they can do nothing about it but they stolen my $100 or the balance you see in the app in inaccurate. This has been a terrible inconvenience and a horrible experience using cash app. Would reconsider if the were willing to fix and address this issue. I have been using the cash app for almost 2 years and loved everything about it. It was easy to setup, I could send money to anyone who owned a modern cell phone, and I never had to carry cash on me again. I work in homes and every now and again I’ll have a customer trying to sell something that I want, so when I get them to sign up, not only are they able to receive money from me, but they get $5 just for switching to this fantastic app. All went well until I tried sending my half of the rent payment to my roommate and my transfer was denied. I contacted Cash Support and within 5 minutes I received an email informing me that they were closing my account without eligibility to reopen it. They gave me no warning and no reason as to why they had made this decision. I have been trying to get in touch with someone on their support line for weeks to simply ask them why they had made their decision, but I never got a response. I love this app, but I am so very upset that they would close a valued and loyal customer’s account without warning or so much as a courtesy explanation. Please take your business to Venmo or Zell. Those guys work diligently to ensure customer satisfaction, and always answer any questions you might have. My boyfriends old phone broke and he had no way of accessing his old account as he had no email set up just a linked number that he no longer had because new phone new number he created a new account fine. I made the mistake of sending 50 dollars to his old account and I immediately noticed the mistake I contacted customer support which is only through email, no way to contact someone by phone since the money is stuck in his old cash app account I thought it would be an easy fix as to either pull the funds out and load them back on to mind or void the transaction since he has not accepted the funds the customer rep brandy finally emailed me back saying there is nothing that can be done very disappointed in this app with its customer service. It’s 50 dollars an I refuse to just have it lost. After o explained this to the rep I went online and did some searching if my own n it clearly says that within 24 hrs that the transaction was made if the receiver of the funds have not accepted the funds or used the money it can be canceled. I screenshot the policy and emailed the rep and she has not responded. I am very unhappy and cash app would be losing users behind this. I don’t take this lightly and I will not leave the situation alone until either my boyfriend or I are able to access the 50$. I have never written a review before but I had to because I’ve never dealt with such terrible customer service. I have been trying for well over a month now to fix whatever problem there is with my cash app account (randomly told me I temporarily can’t send or get money due to suspicious activity) they never sent an email or anything as to what was suspicious or what I needed to do to fix it. I didn’t even know there was a problem with my account until I went to try and send my friend some money for doing my nails and it told me I couldn’t. I have contacted support 5 times now to figure out what was wrong with my account but every time I do I get the same automated message saying someone will be with me in a few business days but I never get an email from anyone so when I tell them I haven’t gotten a response they send out another automated message saying that “I took too long to reply and need to open a new case” BUT I NEVER GOT A RESPONSE IN THE FIRST PLACE. This has happened 5 times now and I have given up entirely on trying to use the app. I now use google wallet and haven’t had any issues. Something that can be fixed in minutes has been dragged out for months and STILL is not fixed. When you offer customer service you’re supposed to actually help the customer with the issue. I used to have this app: this review is for something that happened about a year ago but is still very telling. A coworker had been using the app with me and several others in order to put money in her accounts so that she could withdraw it later. All in all we’d transfer money and get it back evenly. All told I did about $900 with her. Suddenly one day my accounts have $900 withdrawn from them (the cash app had access to my account) and considered my transactions with my coworker “unfulfilled.” There was a lot of scrambling where my coworker claimed ignorance: I tried contacting square and, only after several weeks of radio silence, did I get an email (which I still have saved) basically dismissing me and telling me to check with my bank. My bank did nothing but try to figure out how square could access my account so readily; nobody did anything to help me figure out what had happened. In the end I got most of the money back from my coworker and had to close and reopen my account because my bank wouldn’t do anything to help—and neither did Square. Yes I and my friends were stupid for helping our coworker, but I’d expect something a little bit better than “it’s not our problem.” Thus my conclusion: this app is a rip off and if something goes wrong, square will not help and does not care. According to cash app, a payment of $1850 was “instantly deposited” into my account successfully. However, that was not the case. This is actually the only payment that I have had trouble with using cash app but as you can see it’s a lot of money. I talked to three different associates because two acted like they didn’t understand my problem and the third one kept telling me that my bank had “accepted” the payment but my bank confirmed that cash app had never actually sent the money. They finesse you by requesting a “rejection document” from your bank but a bank can not provide that kind of documentation if they was never any money sent to reject. Then the associate, Nessa, claimed that she would escalate my case to a manager, and they would be in contact with me shortly but they never contacted me. I will be seeking legal action against this app because this is unacceptable. They even failed to provide documentation of my bank so-called “accepting” the funds on my behalf or even a credit card info change they claim I did. It is obvious that they lost my money and do not want to credit my account to replace since this mistake is their fault. Never using this app again. I do not recommend it unless you can risk losing money or have the patience to deal with incompetent customer service. Ripoff referrals, and zero customer service. It used to be great. Ok, so the response I received from the developer is a bunch of crap... I’ve made higher payments through the CASH APP and it never asked me for my personal info. This app has no reason to request an individual’s SSN or date of birth, especially with the high rate of identity theft in the world. You want to put some security in place then develop security questions..Again the developer has no need to acquire an SSN or date of birth. I was really starting to liking this app until the day I was preparing to pay someone a very small amount of money (less than 60 bucks) and before it would process my request it asked for my full SSN & date of birth and I thought why would this app be asking for such info when I’m using my own debt card from my own account,( I understand about security and so forth but yet I didn’t have to provide any of this info when I signed up, I may have had to provide my DOB, can’t recall but I know I didn’t have to provide my social) there was no need to have this info to process my request. So I sent an email to the developer and was advised to send them info they should already have, at this point it appeared that something fraudulent was going on so I immediately deleted this app, don’t have any plans to reuse. All I can say for future users be careful, don’t give out your SSN. This app isn’t bad. It has a great concept of sending and receiving money with a few simple taps which I like. But about two weeks ago I sent my girlfriend $150 for a bill and she never cashed it out it just remained in her App, Cash App. Upon realizing she didn’t need it, I actually did. She used the refund button and it shows as refunded. I gave it a few days because I don’t expect everything in life to be instant. But I haven’t received anything at all. I’ve contacted “customer support” and they requested my identifier number as well as sender and receivers phone number and my cash tag. I provided all of it in an email response and i have not heard anything back from them yet. As I read other comments with this refund issue I realize it’s completely real and it’s ridiculous honestly. $150 just afloat with no information on where it is or when it’s coming or what’s going on. I’ve been trying my hardest to find a customer service number and I keep sending these “forms” that are supposed to be helpful. It’s shenanigans. So don’t use the refund option. P.S I still haven’t received my money, hoping developers will respond to this and give me some sort of help. I have been using this app for over a year without a problem however I had an issue last Wednesday and not only is all my money gone I have sent a total of 18 emails to the app as the have no call center and only received 3 emails back asking me questions but then never responding again. I can’t believe how easily this app can take your money without any accountability or communication with the customer. Your bank or credit card will do Nothing to help you and this app does NOT have any support. So Buyer Beware! I have filed a report with the FTC the DOJ and my local PD and the FBI. So maybe they can get some sort of response. My loss counts as grand theft. I am updating this review. The developers obviously don’t read the reviews posted because it seems that the have a standard answer of “please contact us” and give the help link. If they where acutely reading the review above they would have seen that 19 emails have been sent and NO responses. At this point it has been 22 emails. So if you want to give me other feedback app developers then give me a contact person or a phone number or have someone at your company reach out to me! As I stated before I have filed a complaint with the FTC the DZoJ and the FBI and guess what? All three agencies Have responded to me unlike your company! I am not going to tell you not to download this app but I hope after reading this you will think twice before downloading this app I’ve already got everybody around me to delete this app and I hope others will take this into consideration. I’ve been using the app for a while now with no problems. Everything was fine until last week. One day out of the random, I get an alert from my bank telling me that somebody has charged my card for $100 and then another payment for $75. When I look on my bank account statement it says the transaction came from Square inc. The person that the money was sent to someone I’ve never heard of or never met. Which led me to believe that there some internal problems going on with the cash app. I contacted my bank immediately to report fraudulent activity. But they tell me that their hands are tied because the transaction hasn’t posted to my account yet. The only people that can help me was square Inc. but when I contacted them I received one email and I haven’t heard anything since. I’m still waiting for the money to be returned to me so I can delete this terrible app and pay bills I'm now behind on because cash app hasn't helped me at all try to retrieve the money that was taken from my account. I literally never write reviews of apps, however, the complete and total lack of customer support is beyond frustrating. I have not used this app in the past, but my sister has without any problems. I downloaded it for the first time a few days ago. No problem uploading my card info, but when it came time to cash out a payment, I would get stuck on a loading screen. Ok, fine, no big deal. That is until it happens EVERY. SINGLE. TIME. Glitches happen, and it wouldn’t bother me, except there is literally no way to contact this company. So I search the cash app, their website, Google, etc... trying to find a customer support phone number. There isn’t one. I send an email to the customer support team. No response. I send a second email. Still no response. Third email-nothing. I refunded the money via the app that was sent to me, but god only knows if that will actually get back to them. We have both called our banks trying to see if they have any experience working with this app. They have attempted to find a customer support number with no luck. I am hoping this person will be refunded their money, since it was a sizable amount. My concern is with the legitimacy of a company that deals with your money, yet has no way of being contacted. when sending money to someone without the app. What exactly happens? I know they have to “accept funds” but what do they have to do specifically. For example, they already use Venmo and don’t want to install another app? BTW I love isquare for business which is much more complex & seems like the same designers would create a pretty great app for sending cash. Paypal fraud protection is a joke. I got hacked and they were no help. after a week waiting in their “resolution center” & even calling the cops & every other party possibly involved, Chase resolved it w 1 phone call. I couldn’t even get a human on the phone. Not that I have any love for Chase but being a preferred Client helps. Everyone uses Venmo bc everyone uses Paypal. Doesn’t mean it’s bullet proof & their customer service is non existent. For any problems like that w any service. Just open a case & call your bank. Otherwise u will wait in eternal limbo. If they still find you responsible for the charges that’s when the cops (financial invest unit) get involved. This is what I learned thanks to paypal. i was referred to this app , and at first i liked it because i could pay for my games on my phone with it and use it, but then with in a few hours of having the app on my phone i tried to send money to a friend ( as the app states you can do) and it “failed for my protection” and was cancelled so i asked my friend to try and send me money to see if it was just me and it did the same to her when it was sent to me but she was able to send to others! So i contacted support! This has continued to happen to me! I have contacted support several times over the last week and no one has gotten back to me! I think it is crappy that you want people to use your app but after 2 hours of using it you do not allow them to continue using it or to send or receive money anymore! I would like my account to be fixed because at first i really liked the app and the features seemed to be better than paypal with the way the “Cash app” Card is set up VS pay pal but if i am in able to send or receive money from others or to others or even get a response back from your “ SUPPORT” team i will not recommend this to anyone ever again! If someone could kindly get back to me immediately i will change my review but till then it stands at it’s a CRAP APP with 1 start!!!! When I heard you can get 10% off at my favorite places and $1 off at coffee shops, I thought it has to be some scam. However, after using this for a couple of months, I’m amazed. The fact that it’s by a reputable company made the decision easier when I signed up. The physical card with the etched signature is really cool. Adding money to your account is easy with Face ID (no extra confirmation needed). My biggest concern when I heard of the service was privacy. Now, with the boosts, there’s obviously something this company makes in return, whether it’s data on what we buy and where we buy it from but I’m fine with it because I’m getting paid in return. I’ve estimated I probably save at least $1,000 per year with this app without modifying my shopping behavior at all. With those savings, I’m fine giving Square whatever it is they make from me. That’s how this should work: if you use my data, then I should get paid (*cough* Facebook, Google *cough*). Give this a shot, best thing I discovered in years! Let me start by saying that today was the first I’ve ever downloaded this app Because I’m so used to using Venmo or Zelle and this has been the worst experience I’ve ever had with any app whatsoever First the money that I tried to send which was $75 was returned up and trying for five times with my BOA card so I call customer service for your cash app they told me to buy a Google play card of $75 after trying to send my $75 from my Google Paycard the Rep told me That he wasn’t aware that he wouldn’t be able to send cash unless the Google Paycard had at least 150 bucks I went back to the store and I bought $80 card just in case they were Taxes and that is a total of 155 just to send $75 when I was told that I would’ve been refunded the 80 bucks to my a/c after staying an hour on the phone with these people that say they are Google pay customer service because I went online specifically looking for your customer service contact number and these people told me that I had to go back to the store and buy a card for $100 just so I can get my refund of 155 bucks so I should spend in total $255 when I was only trying to send $75 and I was told if I do not purchase this card for $100 I will not get my refund. I’ve used the app for over a year, and for awhile it was fine. About six months ago, an update to the app caused the “sign in” prompt to disappear, and now I could only create a new account. I contacted support, and they said I could try creating a new account, and then someone at support could merge them. I was mad because that is not a solution to why the app lost the ability to sign me in. If I create a new one and merge them, how do I know the app won’t do the same thing again? I received no answer to that. As it happened, payments from my contractor kept working anyway, and I could still log into the website. Until this weekend. I got paid Saturday with no issues, but a payment to me on Sunday triggered a request that I verify my account. I cannot do this, because now both the app AND the website will only let me create a new account. There is no way to access and verify my existing account. Obviously I have contacted support, and they have not replied. My money is in limbo. This is unacceptable. Trying to get help on their website requires that I sign in, which, again, I can’t. I was able to get a direct link to email them only by looking at their responses to other complaints in these reviews. Inconsistent and customer service is non existent! I have used this app off and on due to my fiancé being out of town a lot and it’s convenience, however, it does not always work. They charge you a fee to instantly deposit the money in your account but it doesn’t always show up right away. For example, my fiancé put money in my account on July 3rd. It is now the 6th and I am just now getting it. What’s the point of paying the fee then? This has happened to me on more than one occasion. I’ve tried contacting them but good luck with customer service bc that’s just in the form of an email form. No contact whatsoever and you basically get the run around. My email response was basically to say it was my bank and of course when I called my bank, they said it was the app. The email also stated that it could be the amount of money too. That larger amounts could be held longer. Well, hello, then don’t advertise instant deposit. This is also not true as I have had little amounts held as well. If these people knew that there were issues with banks holding the money then they should’ve put that in the description bc instant money isn’t always instant. I will be looking for another app as this is the 4th time this has happened. 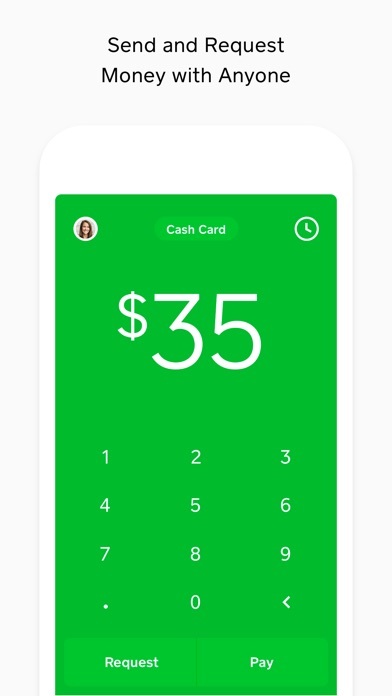 $5 coupon: WDNCGWV First of all, if you haven’t used Square cash yet make sure to enter the reward coupon "WDNCGWV" on the sign up screen to get a $5 bonus after you send your first transfer over $5!!!! Enter it after it asks for your number. If you’ve already signed up you can enter the reward coupon on the profile menu if you scroll to the very bottom. The service itself exceeds the competition found in PayPal and Venmo in its ease of use. Sign up is super easy and very convincing for friends, particularly when out to dinner in NYC where asking the waiter to split a bill is like pulling out your teeth. I like the fact that I can send money to anyone even if they haven’t signed up with Square yet. The app is simple to use, swift and clean. There are two options for transferring money to your bank. Either instant deposit which takes a small fee, or the next day. Or you can keep the money in your account, and use the square debit card for any online purchase. You can even request a physical debit card and use that anywhere. The app itself seems secure, especially with the touch ID integration for quick payment. This app has changed how I exchange money with friends or even new acquaintances!! I've even started using it to pay rent directly to my landlord. Welcome to the new modern era. 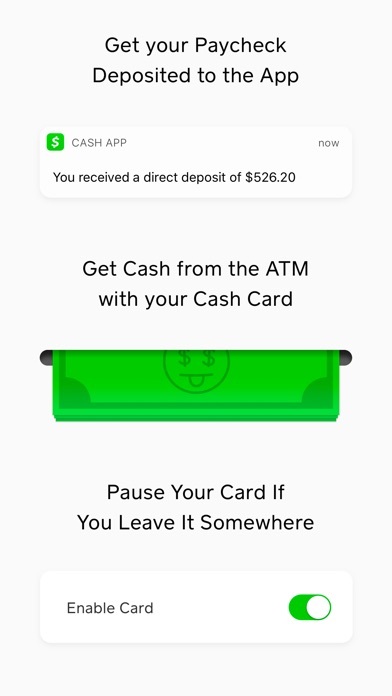 Square cash is now my go to for quick payment transfers to friends and family. Overall you should definitely give it a try, especially with the $5 bonus it gives you!!! I USED to love this app and told all my friends about it. I have been using this app for almost 3 years now. It used to be that I could pay a nominal fee to deposit my money today or it would deposit tomorrow for free. 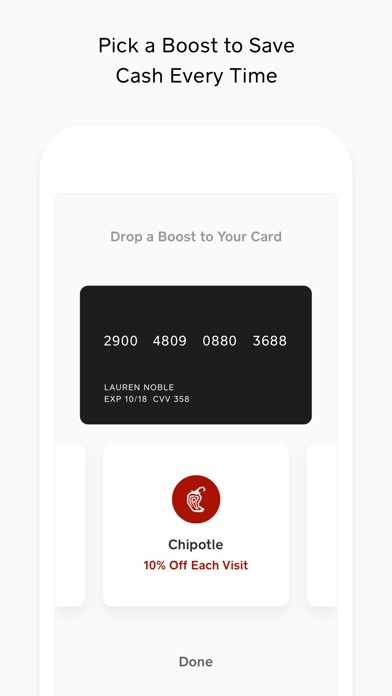 Then things got even better—they offered me a debit card connected to my app! Which I LOVE, by the way. It works wonderfully and I NEVER have to worry about overdrafting or auto withdrawals from my bank account. The fees increased some over time, and the length of time to deposit for free also increased by a day or so, but I was fine with that—the developers need to make money! But recently the fees have increased AGAIN and the time for a free deposit has gotten so much longer. Say I get money sent to my app on Friday. I either have to wait for four days until TUESDAY for the deposit or pay $2 for a same day deposit of $133. I quit PayPal to use the Cash app because of the convenience and low cost, but I’m steadily seeing it become more and more like PayPal—it’s disappointing. Also, I admit it’s a really small thing, but I’m annoyed by the Bitcoin addition. I wish I could turn it off. I’ve used cashapp for a NUMBER OF YEARS! never ever ever had an issue. This morning my direct deposit hit my account and shortly after, i received notifications of my email, debit cards and security being unlinked from my account as well as my account pin being changed. All this WITHIN MINUTES! It was very scary! Now I’m panicking looking for a way to contact CashAop, I’m just finding section after section and directions to directions to get to the directions of the directions to get in contact with CUSTOMER SERVICE! I’ve sent SEVERAL EMAILS and have NOT HEARD ANYTHING BACK AT ALL! I’ve even CONTACTED SQUAREUP! and was EMAILED directions to get directions to contact support. I’ve HAVE NOT RECEIVED A RESPONSE and i am very much going through it at this point. THE HACKER SENT $2 to about two people in my cashapp history. from the individuals who received them. when i went to the app, i was prompted to sign in. I used my phone number i was asked to create a NEW CASH APP TAG and i was UNSUCCESSFUL IN LOGGING INTO THE HACKED ACCOUNT. I will be up here regularly to give details on my journey on if i ever HEAR BACK FROM CASHAPP and if they’ve HELPED ME OUT. I wish all you guys who are struggling with support the best of luck as it’s what we all need DEALING WITH SUPPORT via Cashapp. I have been using this app to receive money from friends for a while now. So today i see a fraudulent chargeback from someone who sent me 600!! Tried contacting cash app & no one responds to my several emails. While im trying to figure out how this person is able to just debit money back out of my account that they sent me. There’s no Dispute center so there’s no way for me to stop this from happening besides contacting my bank! Horrible do not use this app unless you want to have to struggle to connect with customer service when something like this happens!!!!! DO NOT USE!!!!!! No one has contacted me at all i am so mad i filed a claim with my bank bc this is ridiculous they allow fraudulent chargebacks without any reason. No one contacts you & you cannot talk to anyone..600 $$ has been debited out my account from the person who sent it to me to begin with!!!! I have all the messages & information to investigate & no one has contacted me!!! This is theft!!!! I will continue to pursue this with my bank since cash app is NO HELP!!!!! This is not a business account nor have i ever sent money to anyone ive only received money!!! So im so confused what grants this person a refund???? I didn’t sell anything to them!!!! I have had Square Cash for a very long time. I use it very often. They’re very inconsistent, and very unreliable. There have been times when the money wasn’t instant, or have had app errors that cause money to freeze. You can’t see your ending balances after transactions to confirm its being calculated correctly. Today, it won’t let me add funds because it says I need to use a different debit card but it’s the same debit card I have on it for months. I can’t call a support number. You have to navigate your way through links to find “contact support” type up your email, and wait for a response - for this most recent issue it took 3 days for a response. For a company that holds your money, there should be NO errors trying to get to it as they’ve described and often I have had problems. There have been times when it would say I had an available balance and then decline a payment taking hours to refresh before it would show my actual balance. This was very embarrassing trying to get food and having your payment declined. I could go on and on. It’s a very convenient app and I liked it when it worked. Can I just say I have had a hard time trying to send my kid money. He is in the military and having trouble with them paying him. He asked me to use this Venmo app. Last week I did and it was fine to send a 100 bucks. Yesterday I tried sending him 500 and it wouldn’t let him accept it. The kicker is their customer service is closed on the weekends and closed weekdays at 5pm. After all that I had to transfer the money back to my account but they wouldn’t do it through it debit card just like I sent it. I had to put my Checking account information on to transfer and then wait 1-3 days for it to appear in my account. This app me and him both downloaded and the money transferred instantly. Was amazing. I was so happy he got it. When someone’s having a hard time, the last thing people need to worry about it someone getting money that was sent to them. I will recommend this app to everybody. Thank you for making it so easy!!! Yes, The cash app is great as long as there are no issues. I have been using the Cash app for almost 2 years without incident. Suddenly there is some type of hold, or block placed on my account due to “unusual or suspicious activity.” The same ‘activity’ that I have been using it for the past few years. I used the “Contact support” link in the app and I followed all of their suggestions. I send in a copy of my state ID along with my bank card attached to my account (which was the only requested information in order to restore my account.) And since then I have sent an email daily asking the support team win my account will be reopened and cleared? For nine days I have been waiting a response from team cash app. This does not seem beneficial especially when you’re dealing with people‘s finances and money. My employer, my family and I, and also in exchange for services are use the cash app so I have been missing money, I’ve been missing opportunities And no one from the company has followed up with me. As long as you don’t have any issues, issues that they’ve created if you ask me then you will be fine. ***Update: I received a letter in the mail from my bank stating they declined my dispute claim of unauthorized peer to peer transaction claiming that I know this person, Terrell. I have submitted numerous requests to this so-called Support Team. The support team quickly responded asking me to send a copy of my drivers license and my bank card via email?!? I replied to the email stating I do not feel comfortable sending my personal information to a phantom support system. only one of my charges of $200 is showing as “pending refund” from 2 months ago. I have still not received a resolution to the rest of my $1100 charges this man took from me. I am on the verge of seeking out a class action suit. My bank is going to re-debit the provisionally credit they gave to me when I filed a dispute. The money I do not have!!!! **** I was using this app for a couple months. My brother inlaw said someone stole his bank information from this app. Luckily for him, his money wasn’t taken. Unfortunately for me, I was a victim. Someone stole my bank info by the name of Terrell and cleared out my bank account. Although, my settings are set to private they’re still able to get your info. Do not use this app! I’m no longer using this app.